Huawei just launched the P30 Pro and P30 in the Indian markets. And, while the P30 Pro set itself apart as the perfect flagship handset, its smaller sibling does come with a few compromises you might not notice at first glance. Before getting into the specs sheet, it is admittedly a little disappointing to see Huawei following the likes of Samsung and Apple with multiple versions of the same handset. This flawed system forces consumers to comb through spec sheets to decide which variant is a better fit for them, despite the outlandish pricing every variant demands. The P30 incorporates most of the same features as the P30 Pro with a few noticeable changes that can be easily identified at a glance. 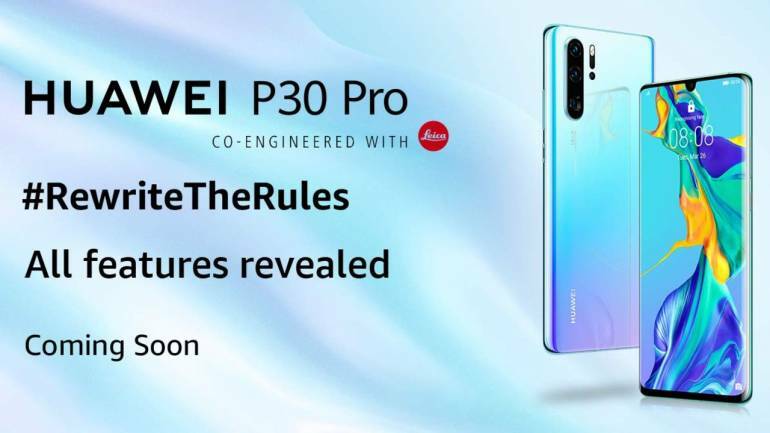 However, not all the changes Huawei incorporates in the P30 are easily detectable. The most noticeable of the changes is in the display, its size and design. The P30 sports a flat screen as opposed to the curved edges on the P30 Pro’s display. Apart from design, the P30 also boasts a smaller screen size. The most evident change in the camera set up on the P30 is the lack of a ToF camera, and while a ToF camera will in no way dramatically affect the final results, there are a few things Huawei doesn’t want you to know. Apart from the AR and portrait mode benefits the ToF camera offers, the P30 also comes with several other camera compromises. The first change lies in the P30’s ISO capability, which tops out at 204,800 as compared to the 409,600 on the P30 Pro. The primary lens on the P30 Pro features several improvements over the P30 with a wider aperture and Optical Image Stabilisation as well as a 2.5cm macro mode. Both the P30 and P30 Pro feature an 8-megapixel telephoto lens with OIS, but the P30 features 3X pedestrian zoom as compared to the 5X optical zoom, 19X hybrid zoon and 50X digital zoom on the P30 Pro. Clearly, Huawei’s “rewrite the rules of photography” only seems to be applicable for the P30 Pro. Apart from camera and display, the P30 also doesn’t get a headphone jack and a minimal IP53 rating as compared to the IP68 rated P30 Pro. Considering the P30 Pro’s confirmed Rs 71,990 price tag, the P30 will likely compete with the Galaxy S10e coming in at somewhere under Rs 60,000. And, while the P30 looks pretty decent on paper, the lower-cost doesn’t justify some of its compromises.